Have you ever dreamt of powering your household without paying the huge costs? Can you imagine achieving it, and take care of your body figure at the same time? 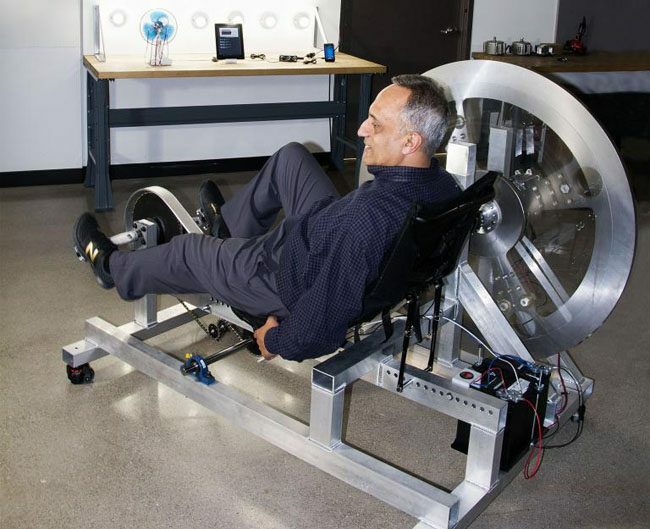 Well, this was the amazing idea of the founder of the Free Electric hybrid bike, Manoj Bhargava. He uses mechanical energy in the simplest way possible in order to transform an hour of exercise into supplying a rural household with energy for 24 hours. His mechanism is simple- the flywheel is activated when you pedal, and this powers the generator and charges a battery. “The Free Electric is made with standard bike parts, which makes it easily fixable by any mechanic around the world. The bike is cheap, clean, and practical in terms of providing energy to those who need it most on a global scale.